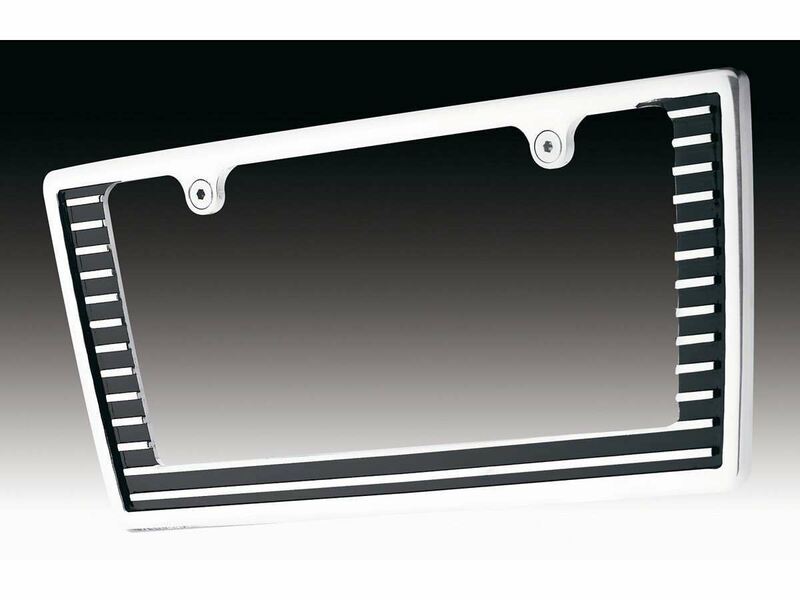 Making a dramatic impact is easy when you install an AMI custom license plate frame. 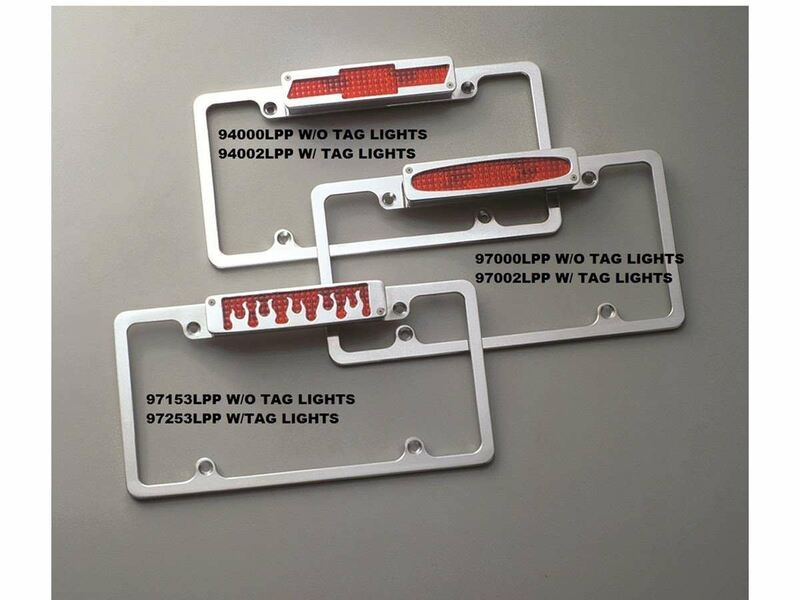 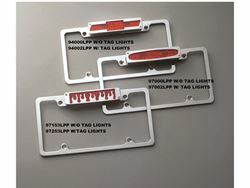 Frames are available in choices of plain or flamed style with tag light only, break light only, or with tag and break lights combined. 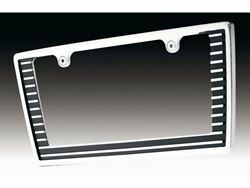 Our plate frames are not stamped or cast they have been crafted from a solid sheet of aluminum. 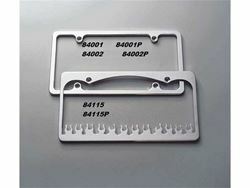 Choose either brushed or polished finish.